Multi-channel distribution is not a new concept, yet it is still a challenge. While the Internet provides a wide choice of products, attractive prices, and convenience, traditional trade channels offer a chance to interact with customers and a level of customer experience that is not yet available online. The growing importance of online, and increasingly mobile, is leading to an inevitable confrontation with traditional offline channels. However, there is a high chance that both channels can have a symbiotic relationship and support each other. Examples from more developed markets show that traditional stores can effectively coexist with online competitors and their own online arms. Personal service and advice combined with giving customers a chance to see, touch or try products is essential as is the opportunity to make purchases immediately without having to wait for a courier. 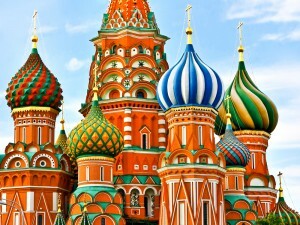 Offline stores are also often perceived to offer additional attractions that are not available online. Many traditional retail chains also operate through the Internet and invest in e-commerce. 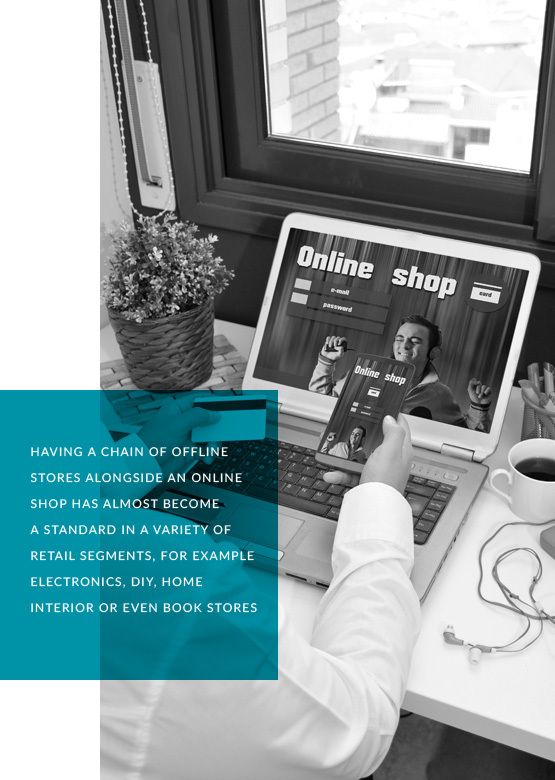 Having a chain of offline stores alongside an online shop has almost become a standard in a variety of retail segments, for example electronics, DIY, home interior or even book stores. The integration of the two channels allows for additional consumer interaction. For example customers can book a product online and buy it offline. They can also return a product purchased online by bringing it to a physical store. This increases customer satisfaction. It also improves the brand perception and the so-called customer experience, which is already a huge challenge. However, there are just a few chains that have mastered the omnichannel strategy through an integrated offer in offline stores, on the Internet, and via a smartphone. The future belongs to omnichannel distribution. Customers have become accustomed to convenient new technology and want to have access to their favourite brands both in a physical store as well as via the Internet and on mobile devices. While mobile sales are increasing at a slower pace than expected, once the security mechanisms to eliminate the risks associated with purchases via smartphones are in place, such transactions are expected to increase. In the meantime, a smartphone tends to be used as a tool for supporting the purchasing process. Consumers like checking products online and taking photos in physical stores to compare products and prices. Smartphones are more popular with younger consumers who are more technologically savvy. Future Store, a new Empik* format, is the most interesting project in recent months which responds to these trends. Following the pilot phase (a store in a shopping centre in Katowice) in September 2016 the first new Empik salon was opened in Galeria Mokotów**. In the salon, customers can take advantage of promotional offers or look for a gift on large touch screens. Even the youngest shoppers are kept entertained as they can enjoy a play corner where an interactive book that ‘reads itself’ is the key attraction (and well worth seeing!). It is not only retail chains that are investing in new technology. Shopping centres are doing it as well. 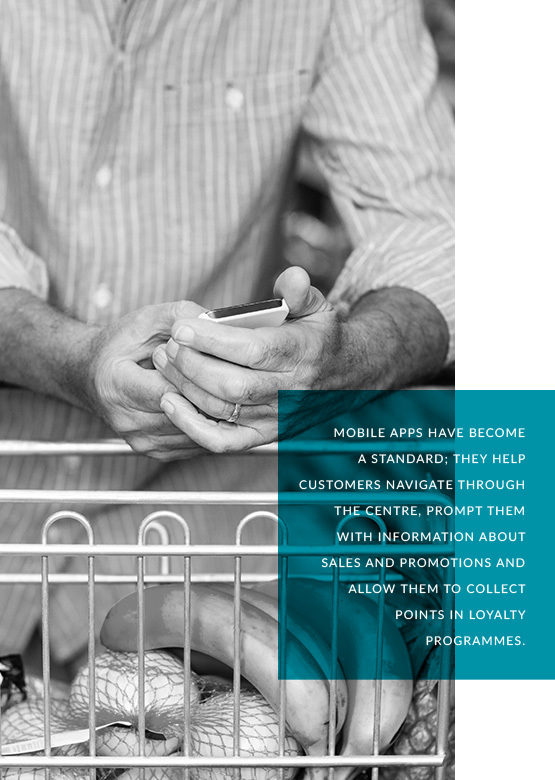 Mobile apps have become a standard; they help customers navigate through the centre, prompt them with information about sales and promotions and allow them to collect points in loyalty programmes. Customers visiting shopping centres can also use interactive screens to help locate shops and services. Speed of service, which is an integral part of life for contemporary customers, along with an extensive offer that awaits them translates into increased online sales which already amount to PLN 35 billion a year. The development of e-commerce opportunities is far from exhausted, especially as important market players are working hard on improving customer service and speed of delivery. Nonetheless traditional trade channels still dominate with online sales accounting for just 3.5% of total spending in Poland in 2015. * Empik is the largest distribution network of cultural, knowledge and entertainment products in the Polish market. Empik offers books, music, movies, games and multimedia programmes, press, art & stationery products, educational goods, gadgets, interior decoration products and tickets to various events. ** Galeria Mokotów is one of the biggest shopping centres in Warsaw.